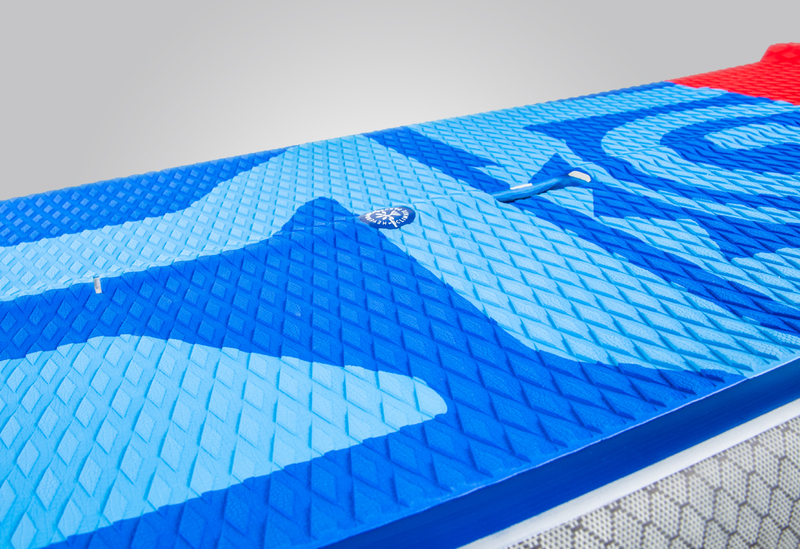 Maximize the volume of the outline, thus creating the essential floatation and stability when paddling a shorter board. 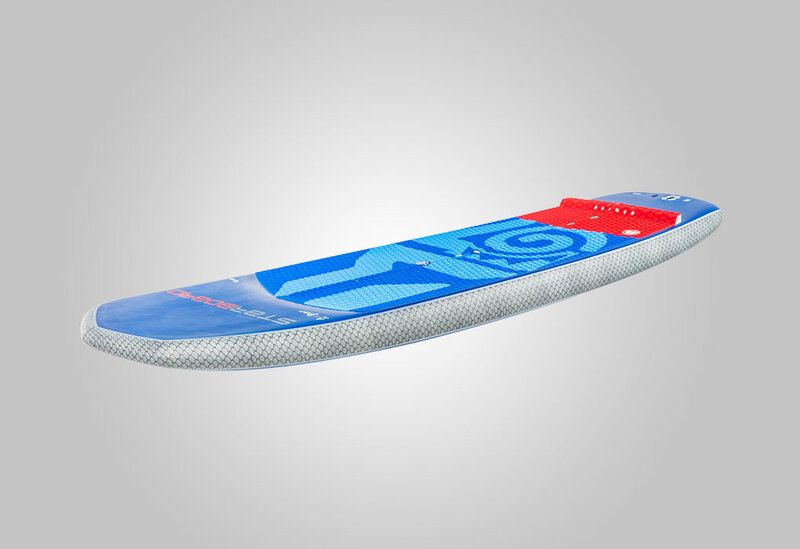 Optimizes the volume and stability to ride a short board that is compact and easy to control when flying. 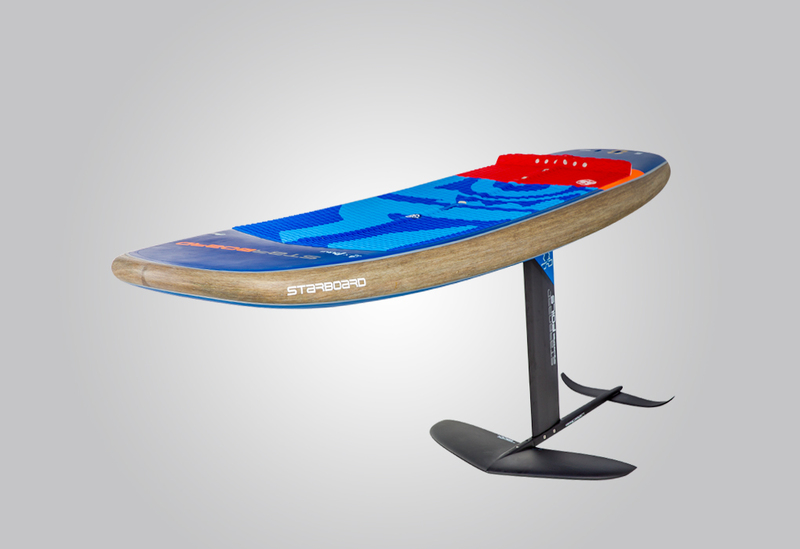 Provides stability when paddling. The wide tail gives a solid platform to push down to lift up the board, while the wider nose helps release easily and lift on touch downs. Reduces the nose sticking and subsequent speed loss when touching down after flying. It also helps break the surface tension for faster release and lift. 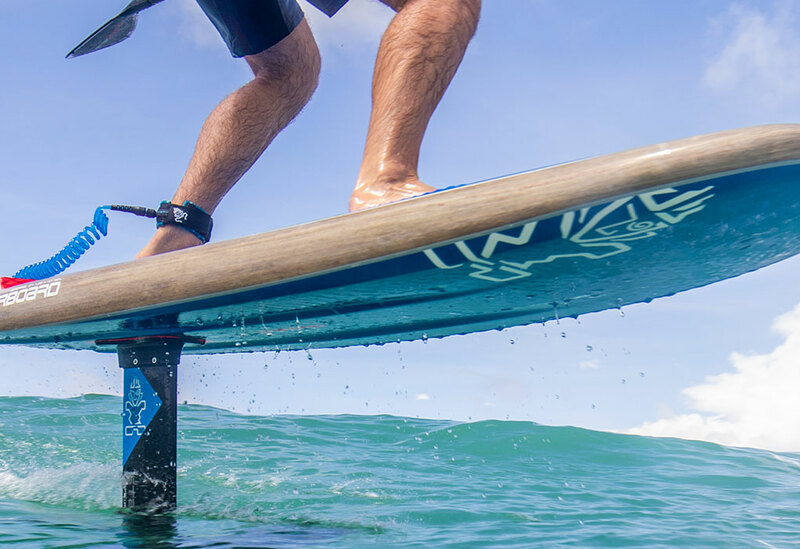 Lowers the center of gravity for extra stability and control to slightly wedge your feet against the rails. – Provides stability similar to a trimaran. 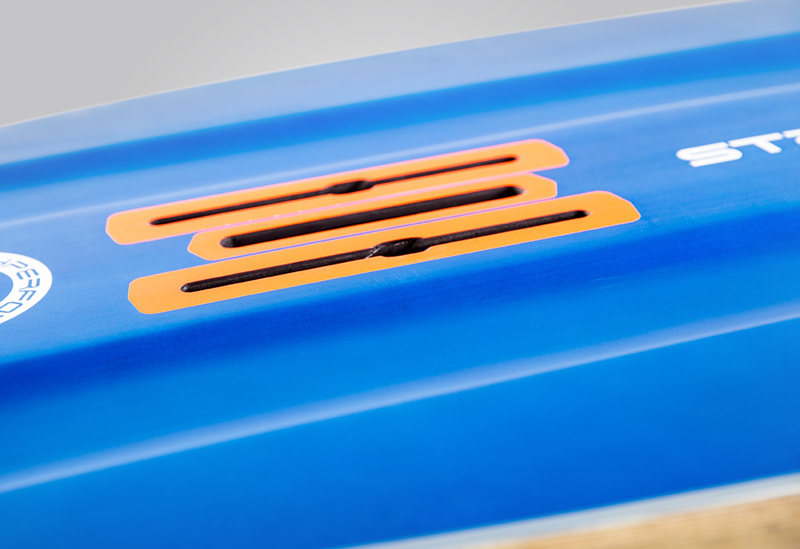 It also increases the tracking and control which is crucial when paddling shorter boards. 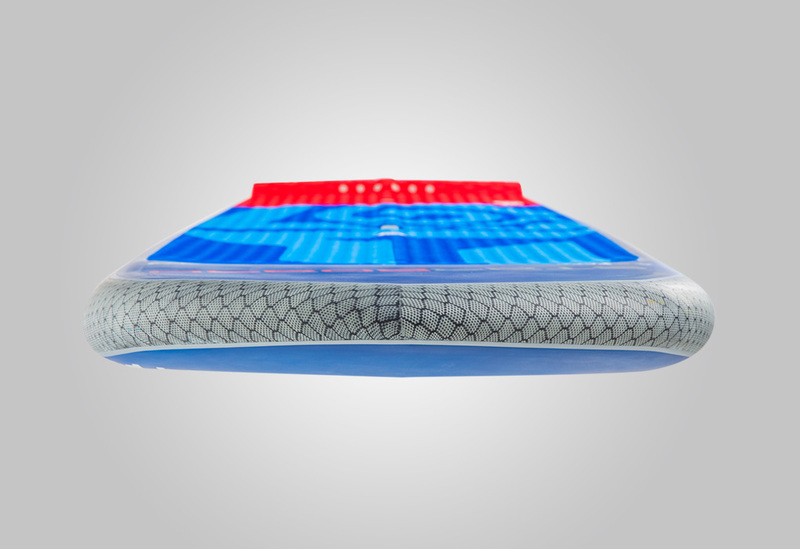 – The channels help reduce the wetted surface area to maintain speed on touch downs and releases earlier when getting up. Widens towards the nose to limit the rail touching when turning and reduces surface tension, while the tail feeds into a sharp edge for extra stability and release. Gives a clean release point so the tail doesn’t drag. Helps leverage the nose to release and pop up quickly. 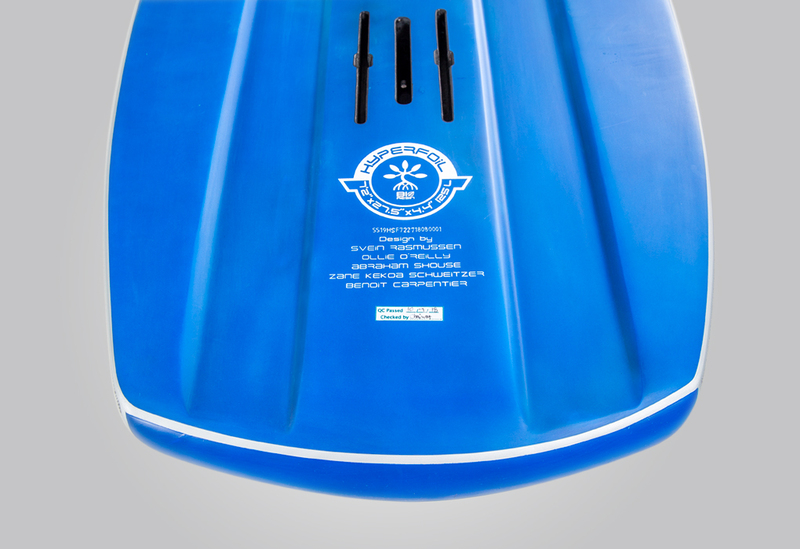 – Raised EVA pad on top of the foil box helps identify the standing area without having to look down. 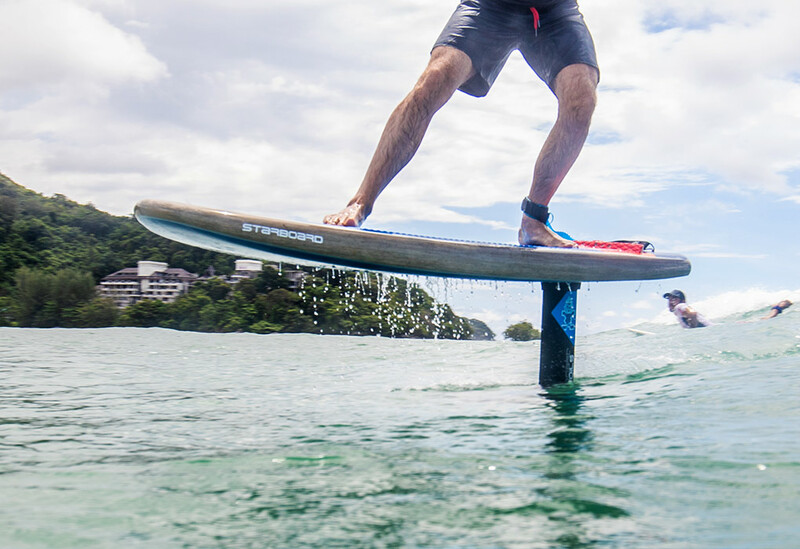 – Gives a solid grip when paddling into waves and when trimming the board. 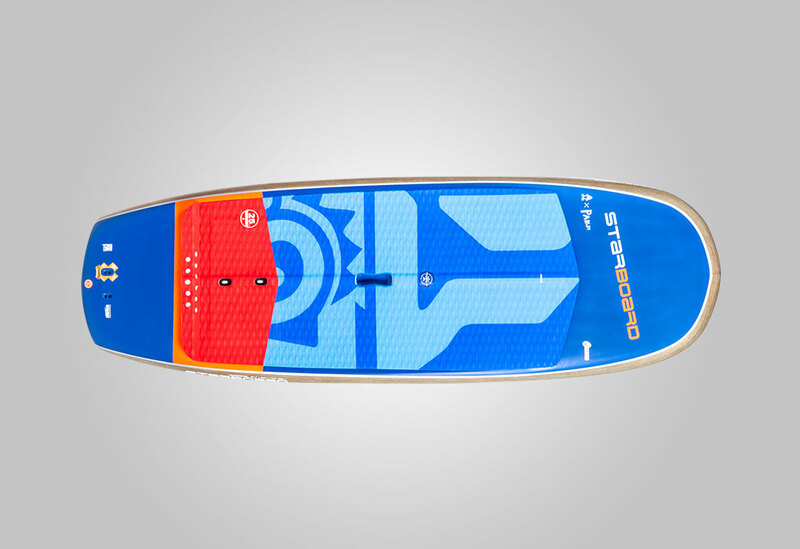 Makes it easy to feel and identify the middle of the board to stay centered and balanced. 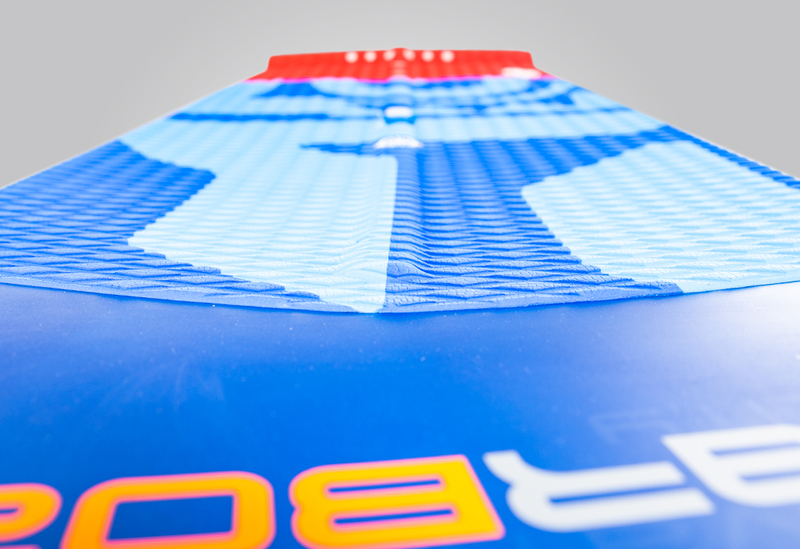 Is optimized for downwind, pump foiling and wave riding. Both Tuttle box and Plate options allow universal foil mounts on every model. 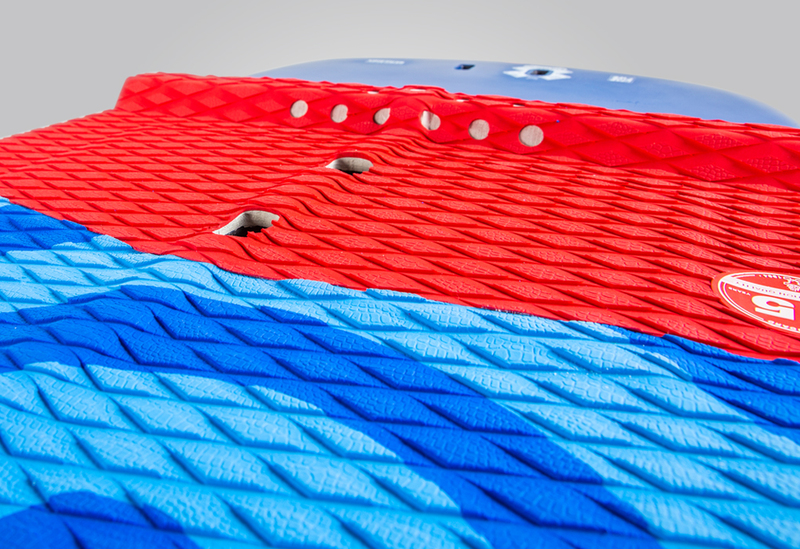 – Full wrap of Armacell foam made of recycled plastic bottles for incredible impact resistance and fatigue strength. Length: 7’7“ / 231 cm. 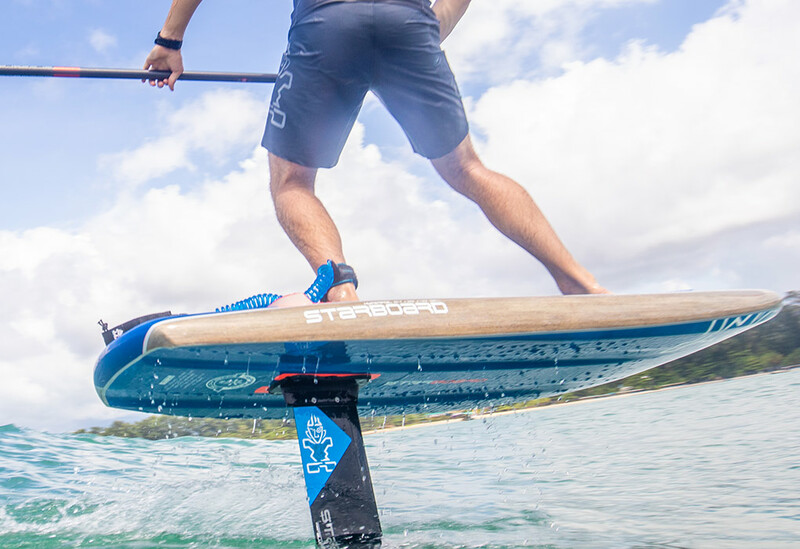 Ultra-stable board that serves a dual purpose: a winner for those learning and needing a stable and wide platform, yet a high-performance and progressive board for heavier riders. 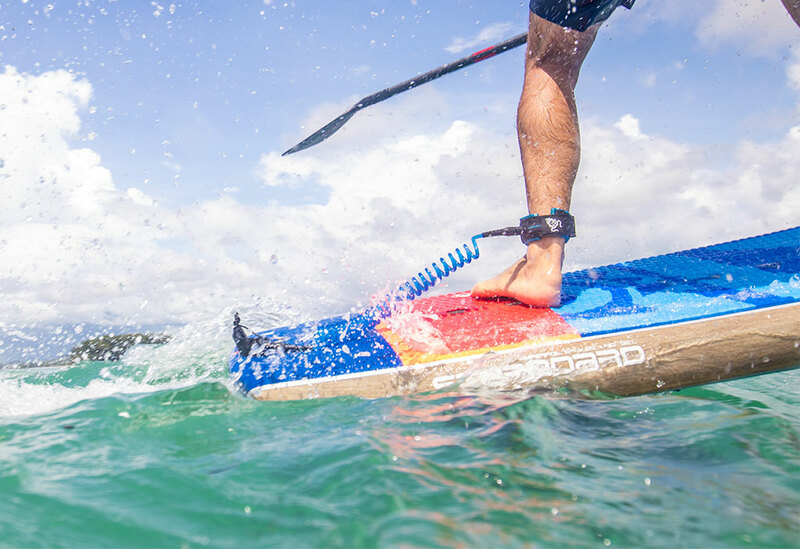 Being the longest in the range, the extra length makes it easier to catch waves with speed, making it easier to get up with less pressure required to get the lift. Length: 7’2“ / 218 cm. Width: 27.5“ / 70 cm. Length: 6’6“ / 198 cm. 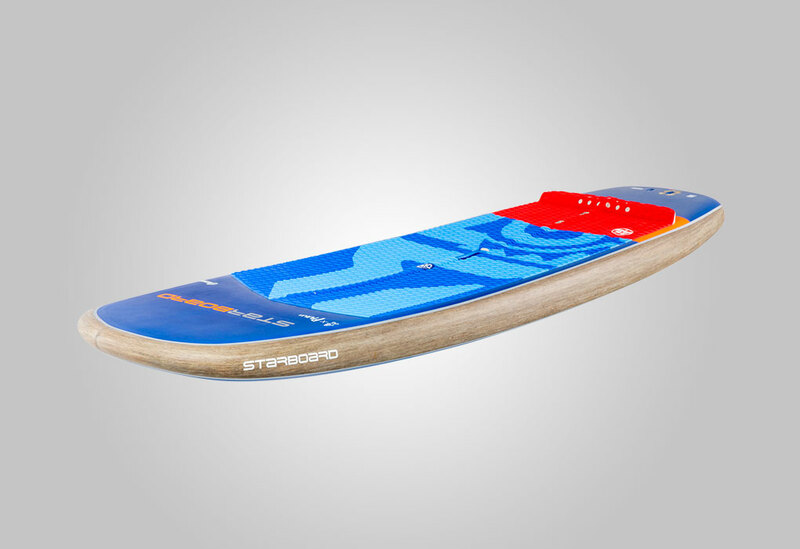 A highly stable board in a short compact size, perfect for riders wanting short board performance with added comfort and stability. Short length makes it possible to control the board with little movement needed to trim the foil angle. The 30” width combined with the full nose outline and thick rails makes it possible to drop down in size yet maintain stability for heavier riders. Length: 6’4“ / 193 cm. Width: 25“ / 64 cm. Width (imperial) 30" 27.5" 30" 25"
Thickness (imperial) 4.1" 4.4" 4.3" 4.1"
Tail Width (Imperial) 23.8" 23.6" 24.4" 21.2"